Automatic control systems provide constant monitoring and control, all day and night, when you have better things to be doing. 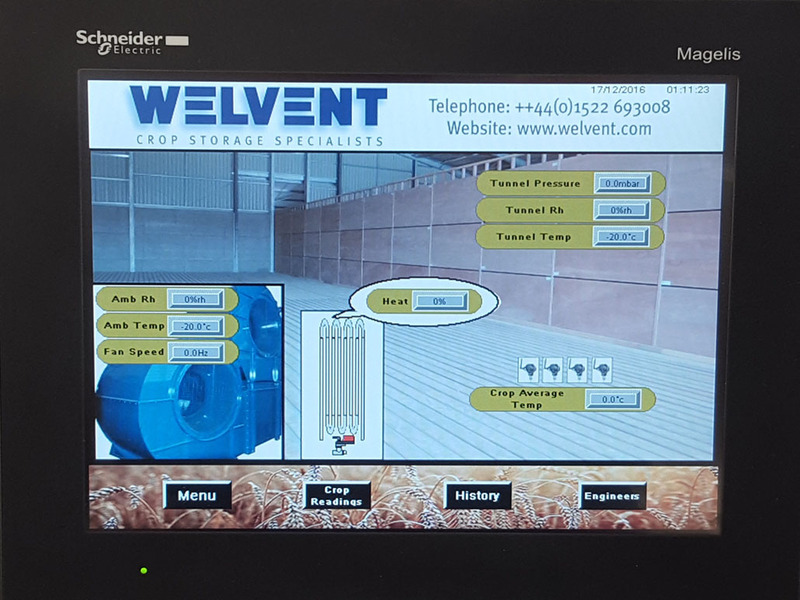 Our grain storage controls are newly developed in house and feature large, simple to use, touch screen interfaces. Used in many stores around the UK they provide accurate control over your store. We have controls ranging from our simple Touch - Fan control to provide control over a fan to our Touch - Grain control that can monitor grain temperatures and provide more in depth control over your store. 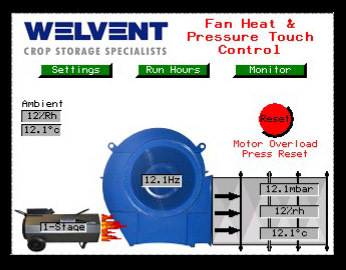 The Welvent Touch - Fan is a simple control which provides control over the fan, heat and pressure. It can also be used to cool the crop after drying. It can provide control of one of our burners aswell as the fan. 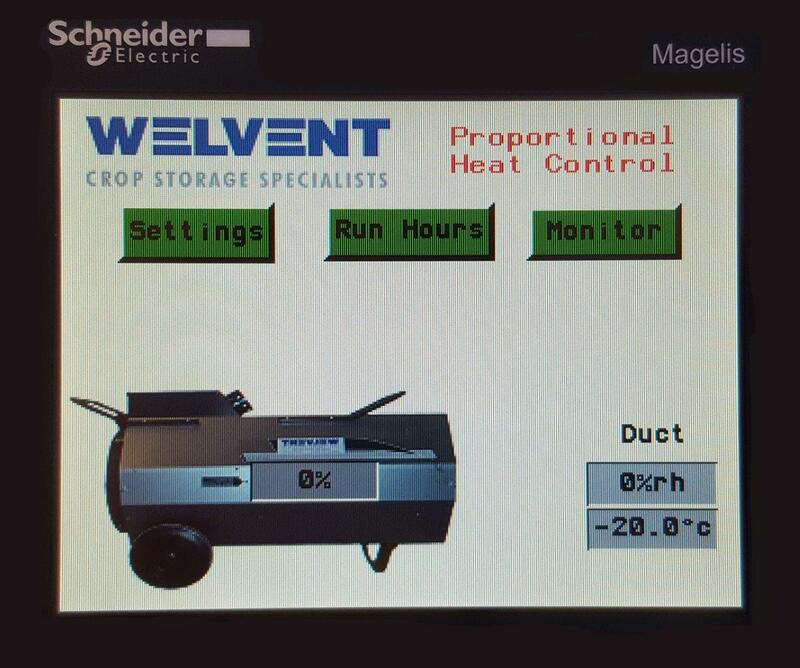 The Touch - Grain is a user friendly, all in one, grain drying and temperature monitoring control. It is an energy efficient, duct pressure control and will run the fan to a set speed or automatically run the fan to maintain the correct duct pressure, thus reducing energy wastage. Drying, with our new proportional valve, allows a more efficient use of the heat provided. The Touch - Grain includes wireless temperature and humidity sensors and has a 100 day temperature history. Our Touch - Grain control won the merit award at LAMMA 2017 for the best product or innovation for the environment. The Touch - Burner is another user friendly, touch screen controller. This one controls a standalone burner. It can be used along side an existing fan control system. The burner control will look after the RH% whilst your fan runs 24 hours a day.